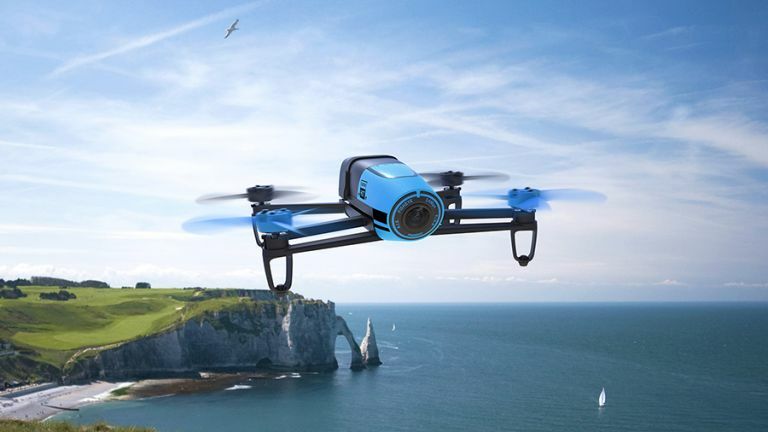 Bought yourself a nifty new drone? Do you know what you're allowed to do with it? Are you sure? The authorities in the UK and US are scrambling to keep up with the sharp rise in the use of Unmanned Aerial Vehicles (UAVs), but there are now official guidelines in place. For the benefit of all the drone owners out there, we've summarised the latest regulations from both the UK's Civil Aviation Authority (CAA) and the US' Federal Aviation Administration (FAA) so you can be certain what you can and can't do with your drone. Most probably, yes: all drones in the commonly used sense of the word fall under the remit of these guidelines. Though you might see them called unmanned aerial vehicles, small unmanned aircraft systems or model aircraft, we're talking about the same thing. The FAA actually says you shouldn't fly an aircraft that's above 55 lbs in weight (that's roughly 25 kg), but the drones you buy from the leading firms are already going to be made in line with various specification requirements set down by the authorities. Commercial use of drones is a different matter altogether: if you're delivering packages, selling drone video clips or making money in any other way, then you need to apply for a special licence from the aviation authority in your country before flying. A lot of the guidelines you're going to come across are common sense. Before take-off, make sure your drone is in proper working order and fit to fly. Don't make any authorised modifications to the device, particularly if they're likely to endanger other people. Whichever side of the Atlantic Ocean you happen to be on, most of the rules governing drone use are the same: you must keep the drone in sight at all times, keep it below 400 feet (that's 122 metres) and (obviously) avoid any obstacles while flying. It seems like common sense, but you'd be surprised: keep your drone away from manned aircraft operations. That means steer well clear of airports, aeroplanes, helicopters and airfields (the FAA says beyond five miles is a safe distance). You must also keep your drone away from large groups of people: stadiums, concerts and the like. The FAA and CAA also ask that you steer clear of vehicles and buildings by at least 25 feet (7.6 metres), basically to minimise the chances of a collision. That may sound like you're not left with much, but it's in the wide open expanses of nature where your drone is safest, and that's what these guidelines are designed to encourage. You should still check local guidelines and regulations as well though (see below). The FAA mentions avoiding flying a drone when you're under the influence of drugs or alcohol, something that isn't specifically spelled out in the CAA's guidelines (though it's still a good rule of thumb for drone piloting wherever you happen to be in the world). And don't forget your drone's camera: you're best avoiding situations where it looks like you might be invading someone's privacy or spying on them, so hovering your drone in front of your neighbour's bedroom windows probably won't go down very well. On top of all the rules we've already mentioned, you need to check local regulations too (sorry). Drone use is currently banned in all National Parks in the US, for example, although this could turn out to be a temporary measure while a more comprehensive policy is developed. If you're considering firing up your drone at a park or a campsite then double-check there aren't drone rules in place - obviously not everyone is going to be as up to speed with the latest drone tech as you are, so it's courteous to make sure you're allowed to start flying. While the chances of you getting away with contravening these rules might seem pretty high, we'd recommend you stick to them rather than risking a run-in with law enforcement or the park rangers (drone use is not currently permitted while you're in prison). If you're in the States, there's an additional requirement: you need to register your drone with the Federal Aviation Administration. The thinking is that if your UAV does come down in the middle of the White House garden, the police know exactly who it belongs to. The registration process isn't complex and you get a licence for three years, but it will set you back $5. Head to the FAA online portal to read up on the guidelines and get started - you need to be a US resident and be over 13 years of age to register a drone.